I'm just hoping I end up with a little left at the end of each day. It's easy to make this declaration on day two. I know it won't be as easy on day 10. 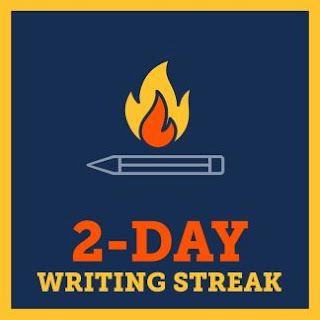 Finally, I found this website that let me generate a simple list showing my daily word goal based on writing 1667 words a day. If I write this many words minimum each day, I'll hit 50,010 on November 30th. I keep this list as a note in yWriter so I know when I can slow down and start preparing to leave off for the next day.